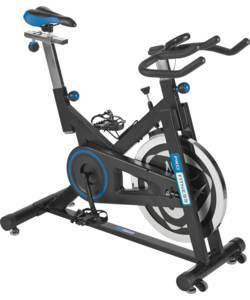 The Roger Black aerobic training exercise bike is great for people who are serious about fitness. 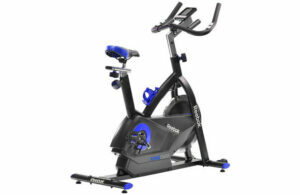 This bike has a manual resistance system and an eight level tension control, which means you can choose the difficulty level that is best for you. The console display you scan, time, speed, distance and calories, so you can always keep track of your progress.